We must take care of our lips before the dry winter arrives! 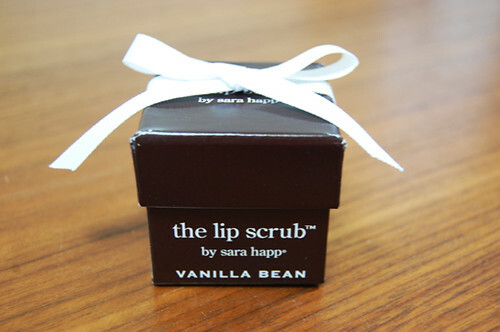 The Sara Happ lip care that has landed on Japan’s soil for the first time will massage your lips with its sweet sugar-scrub cream—just be sure to remove the lip scrub before applying gloss. 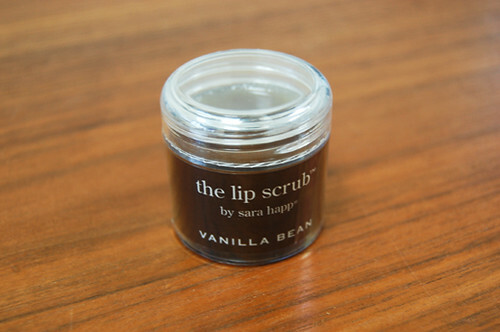 The sugar scrub melts easily, so the cream starts melting as you massage your lips. You’ll be entranced—it’s like daubing sugar on your lips! Many flavors are available, but I chose the vanilla bean flavor. It’s so useful in cold days!